Arranged by Richard Graf. Play Along - World Music. Includes The Wind That Shakes That Barley (Reel), Danny Boy (Song), The Connaughtman's Rambles (Jig), The Foggy Dew (Song), and The Wild Rover (Song). Play along; World music. Solo part, accompaniment part and play along CD. With Standard notation. Universal Edition #UE34144. Published by Universal Edition (PR.UE034144). Designed with early-grade students in mind, each volume contains a selection of best-known melodies and original arrangements from diverse settings, the perfect introduction to the many sounds of different cultures. The accompanying audio CD provides listening and play-along versions, and each book now includes a separate piano accompaniment part. For students grade 2 to 4. 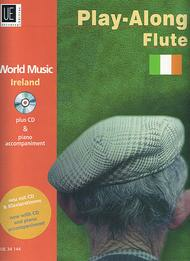 Flute, Piano accompaniment, and PlayAlong CD. 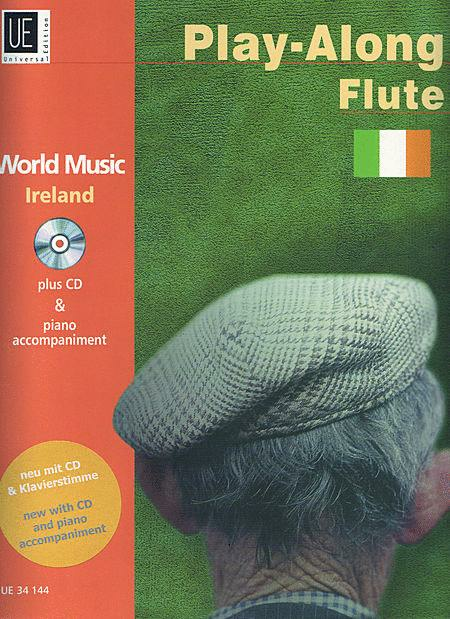 Includes The Wind That Shakes That Barley (Reel), Danny Boy (Song), The Connaughtman's Rambles (Jig), The Foggy Dew (Song), and The Wild Rover (Song).